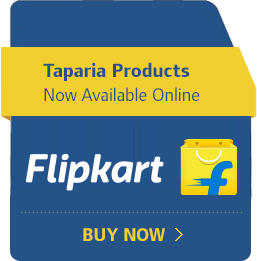 TAPARIA TOOLS an ISO-9001 accredited company started manufacturing hand tools in 1969 in India in technical collaboration with a reputed company by the name of Bahco of Sweden. The company has fully absorbed the production technology of its Swedish collaborator. In addition to manufacturing facility the factory has a fully equipped Quality Assurance Department and laboratory for meticulous and continuous testing of raw materials up to the final finished products.